Ploughshare (Angonoka) tortoise is an endangered species of tortoise that lives in tropical grasslands and dry scrub forests of northwestern Madagascar. These tortoises are on the verge of extinction due to habitat loss and pigs (who eat the tortoise’s eggs). 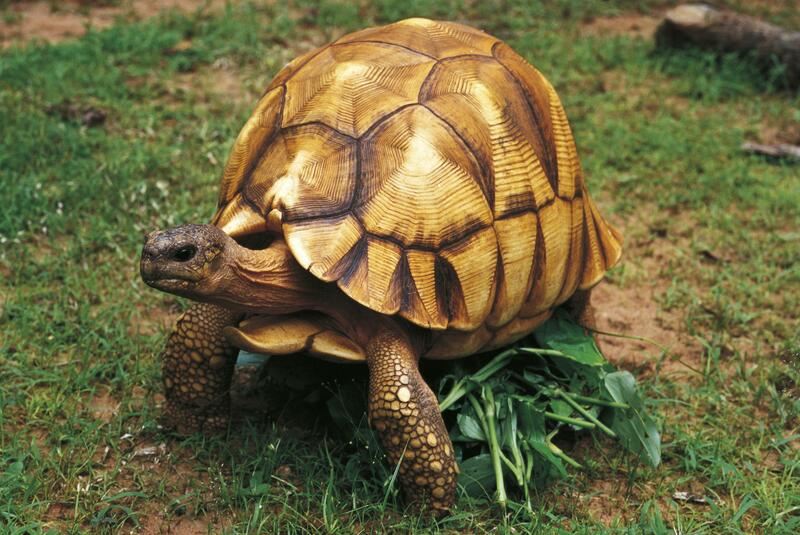 The Angonoka tortoise has a hard, brown, highly-domed upper shell (the carapace) which is up to about 17 inches (43 cm) long. Males are larger than females. There is a horn-like (plow-shaped) projection on the plastron (lower shell) between the front legs. When males fight other males, they use this projection to ram and overturn their opponent.